The Brazilian tournament with the prize pool in the sum of ~$51,576. CBLOL Summer 2019 will take place in San-Paulo, Brazil from January 12 to April 21. Eight teams will compete in the league, they have received their spots due to good results at CBLOL Winter 2018. The general prize pool will amount R$200,000 BRL and Riot Games Brazil Studio has been chosen as a venue. Teams will start their participation in the tournament from the group stage, which will be hosted by the Triple Round Robin system. All matches will be run in a bo1 format. Teams, which place 1st-4th, will advance to the playoffs. Participants, which place 5th-6th, will go to the next league, missing the playoffs. Teams, which finish participating in the league on the 7th and 8th places, will get to Promotion and BRCC Winter 2019, respectively. Teams will play in a Single Elimination bracket in the playoff stage and all matches will be hosted in a bo5 format. 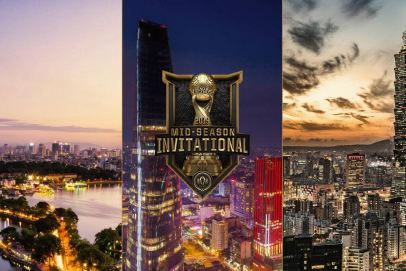 A winner of CBLOL Summer 2019 will earn the main money prize — an invite to Mid Season Invitational 2019. The participant, which places 7th at CBLOL Summer 2019, will fight with the team, which places 2nd at BRCC Summer 2019, for the right to continue participating in CBLOL Winter 2019. A losing team will go to BRCC Winter 2019 and a winner will receive a spot at CBLOL Winter 2019, respectively. In the worst case, the situation will be resolved with a help of rematches between one or another participant. Besides invites to Promotion, BRCC Winter 2019, and Mid Season Invitational 2019, the organizers will distribute money prizes among participants. Teams, which hold the 7th and 8th place, will earn R$7,500 (~$2020). Teams, which hold the 5th and 6th place in the standings, will receive R$10,000 (~$2,693) and R$15,000 (~$4,040), respectively. Participants, which stop on the 3rd-4th place, will earn R$25,000 (~$6733), respectively. A finalist and a winner will become owners of the largest prizes in the sum of R$40,000 (~$10,774) and R$70,000 (~$18,854), respectively. Gustavo ‘Docil’ Docil will be the main host. Such persons as Gustavo ‘Melao13’ Ruzza and Gustavo ‘gstv’ Cima will analyze matches for viewers. Tacio ‘Schaeppi’ Schaeppi and Guilherme ‘Tixinha’ Cheida will be the main casters, Diego ‘Toboco’ Pereira and Alexandre ‘Skeat’ Trevisan will be the secondary casters.